This remarkable photograph shows how the water wheel was powered by water tapped from the mine and carried across an imposing raised wooden flume supported by struts. 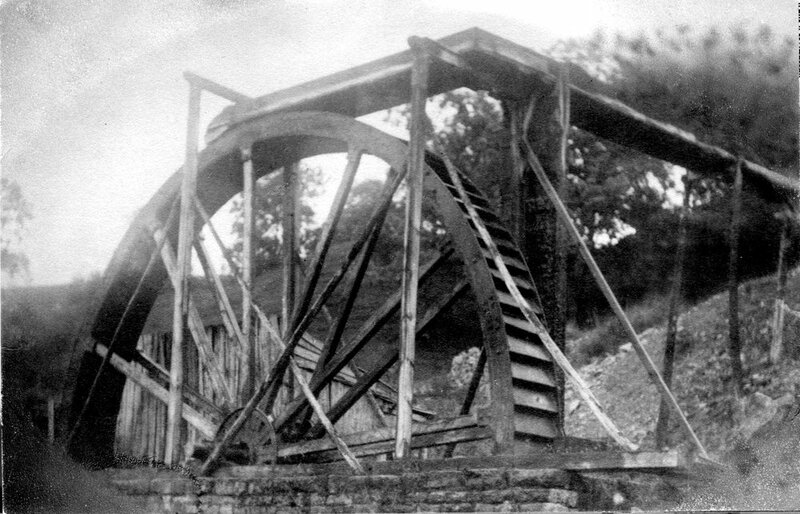 The age of the photograph is unknown, but it is certainly the oldest existing of the level, and judging from the condition of the flume, the rawness and angle of slope of the spoil, it was almost certainly taken when the mine was still active - say in the early 1880s. A wooden hut may be seen behind the wheel on the left, which may have housed the air compressors. Click the image to see a larger version.